Again, as much as I want a set of these I can't commit when you have not even tried them on a cb7. We don't even know if the UCA will fit up in the space. Considering these are made for lowering, and our OEM triangle shaped UCA hit / rub when lowered, verification is needed to confirm these work when lowered. Looking at the design I would also have some concerns over caster. The end of the triangle will rub / bang when lowered. So I'm not sure how a larger square end will fit. And it would be impossible to make the area of rubbing larger to accommodate. We will see... I'll post up when I get feedback. Count me in on this. Sounds much better than using EF/EK UCA's to correct my camber in the front. Too bad you don't have a discount for a test group. True except our cars hit the top of shock tower body AND rub on the inside / side. One can cut and cap the top but no way you are cutting the side of the shock tower body out of the car to get around rubbing. Just an update... still working to try to get these dialed in with any issues. Hadnt heard back from first set. Need to tub it, broooo. No, but seriously, how wide is the tire that's rubbing the tower? 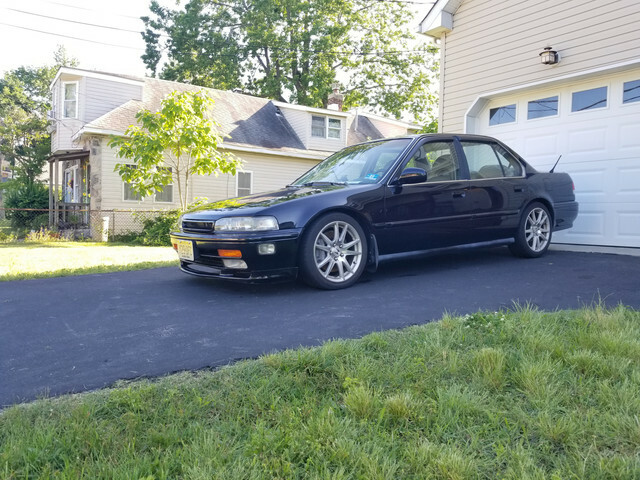 Stock or Illest-spec? Because if the CB is like the S2000 and just can't do big wheels, it's the fenders that need modifying so you can use a lower offset and grow out rather than fruitlessly trying to tuck more rubber under the stock metal. I didn't mean the tire rubbing, I meant the UCA. So is there an update on getting these? I have a CB that would love to have those on there! Still waiting to here back... If anyone wants to try them out. Email Us. If there is any issues manufacture has been willing to alter them. Just need feedback/measurements if any issues. 97-01 Preludes had to be altered to my spec recent and they did the alterations. I do not make these so if they sale great... if not thats fine. Just trying to be able to deliver a product for you guys to be usuable. Last edited by ESP-net; 07-20-2018 at 03:01 PM. I haven't email'd because I am trying to get funds right simply because I want not one but two sets. I want to see if these work. Sorry it's taking me a while to respond. I'm not game as I don't think these will work. But i do thank / appreciate ESPs work here. I have several of his pieces. Muchly appreciated too since he's still doing it with limited members active here. I'm using my cb with FFC with top hats and Ingall adjustable ball joints and i'm lowered with no bangs. If you're concerned about clearance issue get the extended top hats not only it prevents bangs but you get better travel when riding. The top hats will only increase shock piston travel. It'll prevent banging from the shock bottoming out (which is a very good thing!) but it won't change the geometry of the UCA. One caveat with extended tophats is that you don't want to overextend the shock. Shocks are designed for a certain range of travel, both in extension and compression. An overextended shock is no safer or better-performing than an over-compressed shock. Many performance shocks are designed for a lowered car, and therefore are made to be used in a shorter range. Extended tophats could damage anything that was intended for less than factory travel. That being said, when appropriate, extended tophats are a good idea... and FFC makes some great stuff. FFC and ESP are the two companies that still care about the CB chassis, and it is greatly appreciated! The UCA will hit the inner fenderwell when camber is corrected to a certain degree after lowering. Positive camber is added ("camber is corrected") by moving the mounting point at the upper ball joint outward. 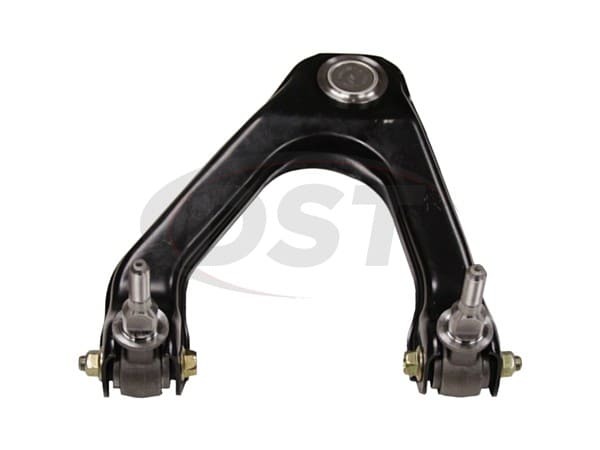 This happens with any type of camber kit, be it an adjustable ball joint, which simply slides the stud outward, or an anchor bolt kit, which moves the entire arm outward. Additionally, the lowered stance of the car pushes the upper control arm further upward. The combination of outward and upward results in contact with the fenderwell. Without modifying the car's body or running some degree of negative camber, there is simply no avoiding this after a certain point. The only thing that an arm like this one could hope to achieve is to use a ball joint and control arm that takes up slightly less room than the OEM piece. There's a small savings to be had there. Not much, but it can make a difference. Say you have a 2" drop and you want to run 0 degrees of camber, the stock control arm with a camber kit installed will hit. You can get away with -1 degree, however. If the ESP arm is able to save a small amount of space in the area that usually hits, 0 degrees may be possible. Now, if you're slammed on coilovers and you want 0 degrees... nothing is going to help you! This. I had another member swear by this. Obviously for those with adjustable coils. But I currently hit. Not scrape the side with the UCA but ram the UBJ (upper ball joint) /SPC off the top of the tower. It's starting to deform the metal. But it's also weird as it's only certain types of .... holes. I always blamed the 'kind of well known issue' with Tein's and how much I'm lowered but I wonder if these will help. Oh yaaa.. I also bet they won't fit with the ESP upper strut bar.